The Kuratas robot will allow to attack your enemies with plastic BB fury and missiles, making sure that everyone always fears your 4.5 ton robot. Anyone that has watched any Anime can tell you: The Japanese sure do love the idea of mobile armor. Whether it be the any of the infamous Gundam series, or even Armored Trooper Votoms, there always seems to be a mech suit lurking somewhere. (Yes, we know there are also a bajillion Anime that don't feature so much as a cooking appliance, but you get the point.) The folks at Suidobashi Heavy Industry have decided its time to make these fantasies a reality. 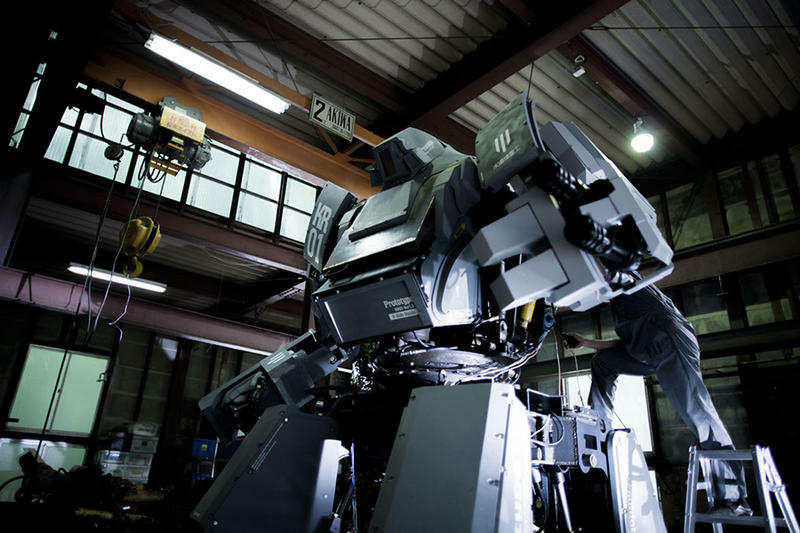 Unleashed last week at the summer edition of Wonder Festival in Tokyo, the Kuratas 001 weighs in at 4.5 tons, stands 13-feet tall and is diesel powered. The four-wheeled monstrosity can get up to 6.2mph, and thanks to its Air Soft guns, it can fire up to 6,000 plastic BBs per minute as well as firing water-powered missiles. All told the Kuratas runs about ¥100 million (approx. $1,272,784 USD), and apparently there are plans for it to be used for other duties such as fire fighting beyond just pelting people with non-lethal weapons. The pilot sits inside the torso of the Kuratas, or it can also be controlled externally via a smartphone app, which would make it ideal for some of the other scenarios that have been suggested. The website makes it very clear that this should be considered "a work of art," but one does have to wonder if we may finally be entering the age of mobile armor. And make sure you know how to pilot it.